What sort of steel buildings do you supply? 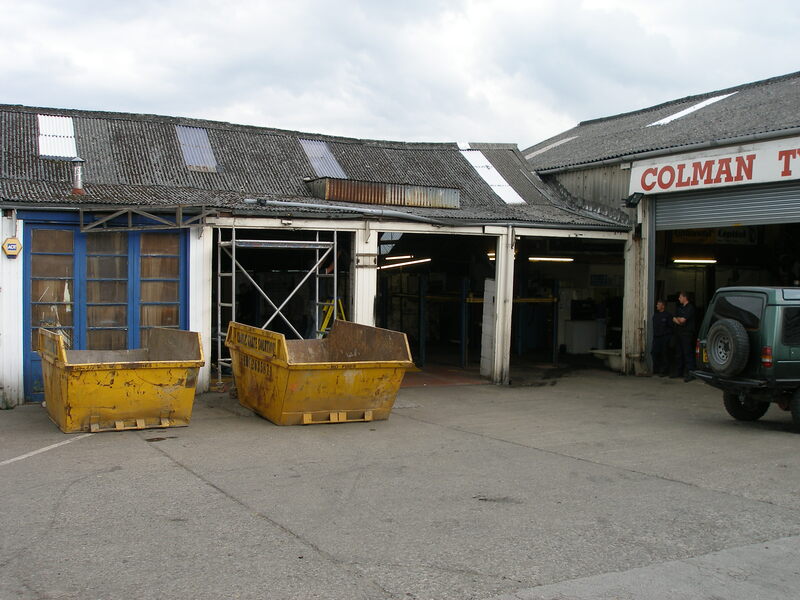 We supply both Cold Rolled and Hot Rolled Steel Buildings. Our suppliers are proud to have been the first CE accredited Cold Rolled Steel Building provider in the UK. What does a CE Marking mean? From 1 July 2014 it became compulsory for all new structural steelworks to be CE marked according to the Construction Products Regulations or (CPR.) The CE mark certifies that steelwork meets the required EU standards. Strict checks and controls will be required during the manufacture of all steel buildings in order for the certificates to be issued. 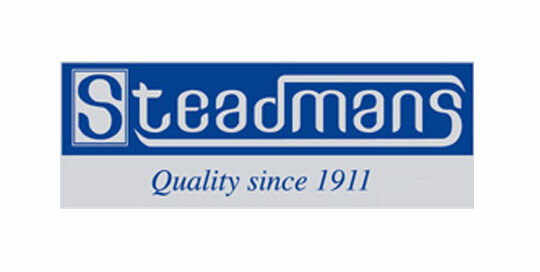 Trading Standards will enforce the CE marking scheme throughout the UK. CE markings should be present on all steel delivered to your site including all the steel framework within the self build kit whatever the buildings intended use or purpose! How long before my building can be delivered? We aim to supply within four weeks of order! However if you have a delivery schedule to work to please advise us so we can work with you and make sure everything happens on time. Will you deliver my building to my site? Short Answer is Yes! Delivery anywhere within the UK mainland in normally included in our price. Depending on location and vehicular access restrictions we endeavour to offer all our clients an assisted offload (via use of a moffett loader!) we will need to check prior to delivery and will advise you accordingly. Cost for worldwide delivery are available on request. Steel buildings are designed to your exact specifications and for your intended use and location. We estimate savings of at least 30% over traditional construction materials. Steel Buildings are built to last longer than traditional building structures. Steel Buildings are easier to maintain, extremely customisable - E.G You can easily add Doors, Windows, Extend to existing structures, add storage options including mezzanine floors, modern insulation, make use of the roof space with Solar and Rainwater harvesting! What is Cold Rolled Steel ? Cold rolled steel is a type of steel that is both high tensile and extremely durable. Cold rolled steel is lighter than hot-rolled steel. A combination of cold-rolled steel and portal frame methodology allows for small steel sections to span over longer distances. This also reduces the cost of materials and due to the reduction in weight, it allows for innovative construction techniques saving both time and money. Are the Steel Buildings 'Easy' to build? What is a Portal Frame structure? Easy Steel Buildings are essentially portal framed buildings. This means our buildings are constructed in bays so the longer building the more bays there will be! Two portal sections consisting of two posts and two rafters joined by brackets form 'a portal' the two sections are then joined by attaching purlins horizontally between the sections to form a bay. This method is continued down the line depending on the desired length (bays) of the steel building. Portal frames are strong, durable, lower to produce and yes.... Easy to Build! Can I customise my steel building? Are Steel Buildings Safe and Secure? Our Steel Buildings are engineered to meet the demands of all building codes factoring in weather wind zones and intended use of the building. Compared to wooden frames, steel portal formations do not change. What about planning applications ? 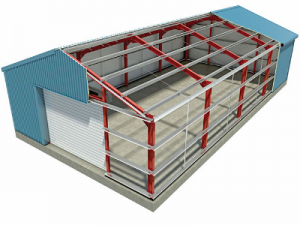 Easy Steel Buildings are supplied and intended to be used as permanent structures, so it is very likely that you will need to obtain planning permission. We advise that you check with your local authority. We can provide plans and drawings to help you through the planning process. Are steel buildings just for Agricultural or Industrial use? Steel buildings are popular for both Agricultural & Industrial use because they are quick to erect and cheap to source compared to other traditional building methods. Steel buildings can be used for almost any application including workshops, garages, stables, retail outlets, sports clubs, boat sheds even aircraft hangers. With a selection of options and colours to choose from you might be pleasantly surprised by our Easy Steel Buildings! Are Steel Buildings "Green" Environmentally Friendly? We all know that steel is a 100% sustainable product (Regardless of it's commercial or scrap value) an estimated 40% of steel used in modern construction has been recycled. Next time you recycle your unwanted steel just think it might end up in one of our buildings!! What foundation or footings do I need? The recommendations will vary depending on the size and location of the building, and the subsurface. Concrete footings or pads should be situated at the base of each upright post, the technique for hot and cold rolled buildings differs. Cold rolled buildings require concrete footings / base floor layer to be poured at the same time. Hot rolled buildings require a footing at the base of each column, the pad size is engineered depending on the size of the building; the floor will then usually be poured following completion. We can give you a guide to these calculations, subject to site survey the requirements may change! New Government legislation was introduction in April 2010 that meant that planning permission for industrial buildings is not required subject to the below limitations and conditions. If a new building is within 10m of the area of land surrounding boundaries then it must not be more than 5m high. A new building is also not permitted to be taller than 15m or the higher than the height of the tallest building within the surrounding area depending on which is lower. The floor space of a new building must not exceed 100 square metres and the land outside must not be more than 200 square metres. For any alterations to existing buildings then planning permission is not required as long as the building is not going to be made higher than 5m tall, subject to being within 10m of the area boundary. 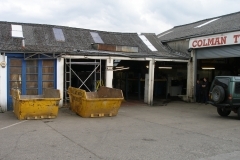 These are applicable to the following: Development must be within the existing boundary of the current building and most not come within 5m of the surrounding area of land Must not be within the boundaries of a listed building Must not reduce car parking or turning space New space must relate to existing use of the building The full regulations for planning permission on Industrial Buildings can be found on the Government’s Planning website.